Somehow the entire summer has slipped by without me bringing you a single Thumbs Up For… post. 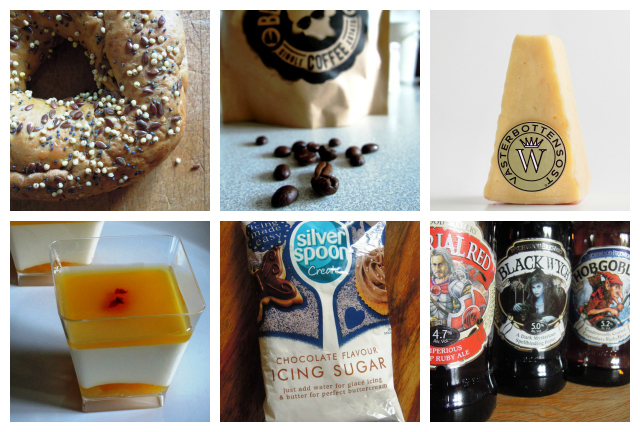 So, while we still have a few days of August before us, here are some of the tasty foods and drinks I’ve been testing on your behalf that I thoroughly recommend you look out for yourself. Bagels are a big hit in our house. Perhaps it’s got something to do with the hole? Holey food in general seems to go down well. But I must say, these limited edition Seeded Bagels from the New York Bakery Co went down particularly well. With that classic bagel chewiness, these tasty bagels are a satisfying source of fibre for slow release energy, packed full of linseeds, sunflower, millet and poppy seeds from the inside out. They cost around £1.60 for a pack of four and are available at Asda, Tesco and Sainsbury’s. Try as I might, I can’t go a couple of hours without a cup of coffee. But it needs to be decent coffee. So when the good people at Black Sheep asked if I’d like a sample of their new Robusta Revival, of course I said yes, particularly when I heard this is the UK’s first fine Robusta bean product. I was intrigued. Black Sheep rebels against the common assumption that Robusta can only used for low-grade products such as instant coffees. Their product, available as beans or ground, comes from a single-estate in India – the only estate in the world to have received three ‘Fine Robusta’ certifications by tasting experts. It definitely didn’t taste cheap or low-grade to me. These fine robusta beans made for a beautifully rich and creamy mug of coffee, not at all bitter but instead quite mellow and slightly sweet and nutty. Next time I’m in London, I’ll be heading for the Black Sheep cafe in Camden to pick up another bag, or two. At £5.40 for a 227g bag it’s not cheap, but then good coffee never is. It might not be the easiest to pronounce, but Västerbottensost is a wonderful Swedish cheese. It’s full of flavour, slightly salty and slightly nutty, and is an extremely versatile cheese to cook with. It can be used in baking, sauces, salads or as a garnish for rice and pasta dishes. I recently tried some in my mini vegetable frittatas, which will be appearing on the blog very soon, which were a hands down winner with all the family. The tasty cheese balanced the sweet veggies perfectly. 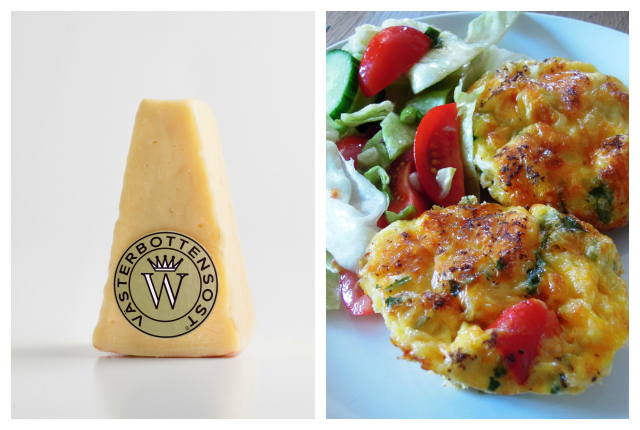 Västerbottensost is available in Waitrose, Ocado and Selfridges and costs around £8.90 for 450g. I’ll be looking out for when it’s on special offer! On rainy days, an activity I turn to again and again with the children is baking. 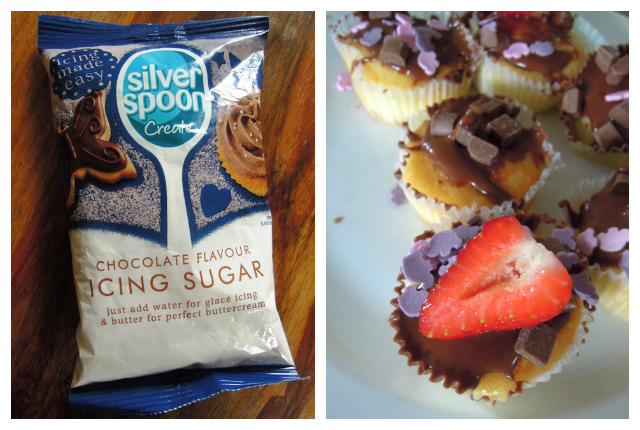 And with a bag of this Chocolate Flavour Icing Sugar from Silver Spoon, creating some stunning* chocolate and strawberry cupcakes was simply child’s play with lots of bowl-licking action to be had (by kids and mum alike). Widely available, a 125g costs around £1.60 and is enough to ice 12 little cakes. For more baking ideas, check out the Baking Mad website. * Remember, beauty is in the eye of the beholder; particularly when it comes to your own child’s creations. One of the plus sides to commuting three days a week to Bristol has been the chance to pop into an M&S Simply Food store occasionally on my way home from work to pick up a treat or two. I’ve rather enjoyed their Summer of Flavour range. These world-flavour inspired deserts in particular have proven particularly popular in the Bangers & Mash household, with the raspberry and lychee panna cotta my personal favourite. The Summer of Flavour range also includes barbecue meats and sides, tasty snacks and cooling fruit juices and cocktails. If you’re quick, you might just pick up one of the M&S in store offers. I’ve been shifting rather a lot of this Coconut Milk from Tesco in the last couple of months. We’re enjoying it in our porridge and fruit smoothies – it’s delicious combined with pureed pineapple and mango – and I like a tall glass of it when I get back from a run, usually with some Camp coffee or Nesquik chocolate powder stirred in. I know; we all have our weird little idiosyncracies and Camp coffee and cheap chocolate milkshake powder are a couple of mine! But back to the coconut milk. It’s dairy, gluten and wheat free, so ideal for anyone with food allergies or intolerances and at just 67 calories a glass it’s also a handy substitute for anyone watching their weight. 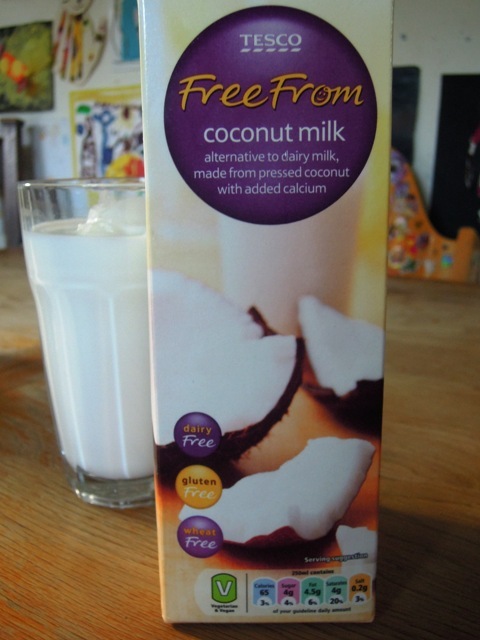 It costs £1.25 for a litre carton and is widely available in Tesco stores. I can’t say I’m much of a real ale drinker; cider is more my thing really. It’s generally only when my Dad comes to stay that ales make an appearance in our fridge. But when Wychwood got in touch to say they’d like my opinion on their very British craft beers, I was tempted. Maybe it was the curious names, like Black Wych and Hobgoblin. Apparently each beer is named after a character that lives in the ancient woodland that is the Wychwood forest. My husband was rather taken by the Black Wych, a sweet and smooth porter, but it was a little too dark for me. I really liked Hobgoblin, a fruity ruby beer, but it was Imperial Red that really surprised me. It’s a lovely malty beer that’s full-bodied but not too heavy. I’ll definitely be drinking this one again. Wychwood Beers are widely available from supermarkets and off-licences and cost around £12.50 of eight 500ml bottles. Disclosure: I was sent complimentary product samples from M&S, Wychwood, Silver Spoon, Västerbottensost, Black Sheep Coffee and New York Bakery Co for review purposes. No money exchanged hands and all opinions expressed are my own. Cheers Van, be sure to save some of that woodland ale for next time!